OpenSFS prides itself on being deeply committed to the philosophy of open source development. We bring together a wide range of organizations and individuals to solve problems that move open source file system development forward. Our “hands-on” working group structure means that OpenSFS Participants get deeply involved and can make a real difference. In the spirit of open source, we want to provide greater visibility into OpenSFS inner workings as well. Please look for us to provide updates on OpenSFS discussions and progress as we move forward in 2014. As always, comments and questions are welcome. For our first 2014 post, we wanted to take a quick look back on the accomplishments of last year. It was a big year for us! Lustre made some astounding strides forward. In 2013, OpenSFS added two new Participants (Fujitsu and NCSA) while Intel moved up to Promoter level and joined the OpenSFS board. OpenSFS also pushed enhancements to our communications and marketing efforts, added more mature management infrastructure, continued funding the Lustre tree contract and added more Lustre development funding, supported enhanced feature availability, and had a significant hand in building a stronger foundation that the Lustre vendor ecosystem relies on for their product lines. In particular, we continued to contribute financially to Lustre. We spent over $3 million on Lustre technical development and maintenance in 2013, our largest annual commitment to date. The result is that Lustre is healthier than ever, adding features that will directly benefit HPC, Big Data, and Enterprise users. · Major releases of Lustre 2.4 and 2.5: Lustre 2.4 brought a new set of features that extend the capabilities of Lustre significantly, including Distributed Namespace (DNE), also known as “Clustered Metadata Servers,” providing horizontal scalability of metadata performance. Lustre 2.5 featured the highly anticipated Hierarchal Storage Management (HSM) functionality, often a core requirement in Enterprise and Big Data environments. · Opened the Community Lustre Portal at lustre.opensfs.org: Resources for Lustre developers now available in one convenient spot. · First Annual APAC LUG13 (Asia-Pacific Lustre User Group 2013): OpenSFS hosted the inaugural APAC LUG events held first in Beijing, China, and then in Tokyo, Japan. Attendance was exceptional and marked a big accomplishment for OpenSFS and the Lustre community, building better connections out to the Lustre community worldwide. · Welcomed our new Community Representative Director, Tommy Minyard, director of Advanced Computing Systems at the Texas Advanced Computing Center (TACC). The position is re-elected annually in April, if you are an Adopter or Supporter level OpenSFS Participant and want to nominate the next individual, please let us know. · Big presence at SC13 (Supercomputing Conference 2013): Held in the beautiful Denver, Colorado, OpenSFS sponsored the popular Lustre Birds of a Feather (BoF) session, displayed new Lustre Testimonials in our booth, and made face-to-face connections with a wide range of Lustre developers and users. · Continued Partnership with EOFS at the ISC13 (International Supercomputing 2013): OpenSFS organized a popular Lustre BoF focused on European issues, sponsored a breakfast panel with multiple Lustre experts explaining the expansion of the Lustre file system and its growth past traditional HPC into the broader Big Data space, and, of course, spent much time on the show floor talking Lustre with developers and users. · LAD13 (Lustre Administrators and Developers 2013) workshop: Sometimes known as the “Europe LUG,” our partnership with EOFS continues to be a key activity, connecting European users and vendors with their North American counterparts. · On-going Lustre development: OpenSFS continues to work on managing community testing under a contract with Indiana University, as well as hosting an open system for Lustre development and testing. 2013 was a big year for Lustre, but we are not slowing down. We are starting off 2014 with great momentum in membership and funding. The Lustre User Group (LUG) 2014 will be our biggest ever. And new Lustre releases will push Lustre even more into the limelight. Our priorities this year focus on our commitment to the Lustre community. We will continue to promote, protect, and advance Lustre through direct funding of Lustre development, sponsorship and management of community events, and Lustre community coordination. Fostering broader community development and community stewardship of Lustre releases is key. Lustre could make a major difference in your industry this year. Join us! 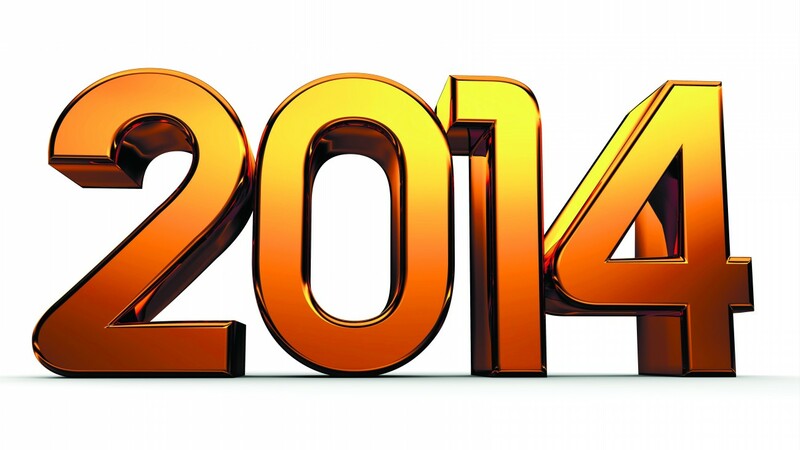 We wish you the best for 2014 and look forward to your continued support and involvement in the Lustre community!